Need Some Inspiration to Go Green? Sometimes you stumble across tidbits of information that seem like they cannot possibly be true, but the more you think about it the more you realize it can very well be true. Facts like that can easily inspire you to learn more or make changes to reverse the impact of a negative fact or spread the word and encourage a positive practice that makes the word a better place. With this in mind we decided to share 5 eco facts we were surprised to learn and the inspiration we pull from these truths. On average, Americans use about 2,500,000 plastic bottles every hour and over the course of a year, Americans typically throw away 25 trillion Styrofoam cups. These numbers are staggering. Making the switch to reusable stainless-steel water bottles and travel coffee mugs can reverse these numbers and the damaging impact non-recyled plastic bottles and Styrofoam has on the planet. As many as 1,000,000 sea creatures are killed every year from single-use plastic bags and other plastic garbage that ends up in the ocean. What is even more alarming and depressing is that these are just the documented instances of marine animals dying from litter; these numbers are probably higher. As with the first fact making the switch to reusable products can help turns things around. 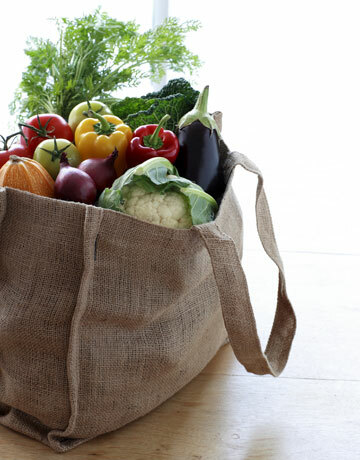 Reusable shopping bags eliminate the need for disposable plastic bags and less plastic bags mean less litter which will preserve the natural beauty of the environment and help protect animals. If you walk one mile along a typical U.S. highway, on average, you will see about 1,457 pieces of litter. From fast food packaging to single-use water bottles to disposable plastic bags, litter is all around us. Trash along roads is a serious health risk to animals and their habitats and can contributes to the litter problem facing our oceans. Refrain from tossing garbage out of your car window, consider looking into cleanup efforts, and again, think about using reusable products which you will hold on to instead of throwing away. 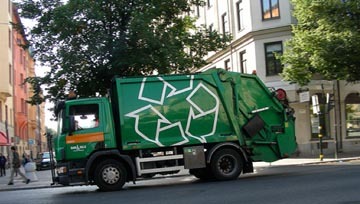 About 84 percent of all household waste can be recycled. Recycling has come a long way and this is a major accomplishment, but so much more than just milk jugs and tin cans can be recycled. From old clothes to electronics to furniture there are so many items that can be recycled and given a new life. Earth 911 has a handy tool that helps you determine what can (and what cannot) be recycled. 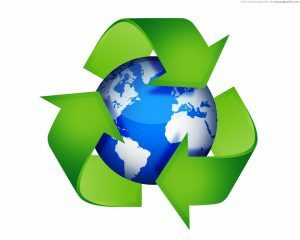 Recycling creates 6 times as many jobs as tossing trash in landfills. Whentrash is thrown in landfills it just sits – this is a problem because all too often recyclable items end up in landfills and this is a shame because those items just take up space; they do not break down and they are not repurposed into something new and useful. Recycling doesn’t just give new life to resources, but it also creates more jobs than landfilling, making recycling good for the planet and the economy. So here are 5 eco facts we thought were worth sharing. What do you think? Do you know of any eco facts that you think should have made our list? If so please share them in the comments! Why Should the United States Ban Single Use Plastic Bags?